Singer and songwriter, Vinnie Caruana recently played one of his old band’s songs while performing on the Acoustic Basement Tour. 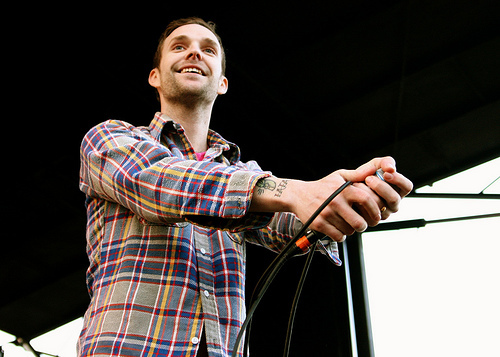 Co-headlining the tour with former Thursday vocalist, Geoff Rickly, Caruana performed “Walking On Glass”, the opening track to The Movielife’s 2002 EP, Has A Gambling Problem. Tour dates for the rest of the Acoustic Basement Tour with Rickly, Caruana, A Loss For Words, Koji and Brian Marquis can be found here.